In a hurry to be on the water? Call us at 714-658-6873 for personalized service. The HB Surf School operates in conjunction with the City of Huntington Beach. 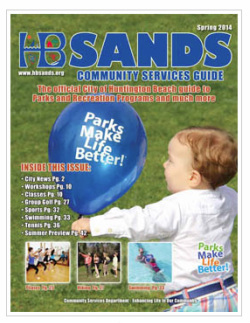 You can sign up online for lessons and camps through the HB Sands Community Services Guide. 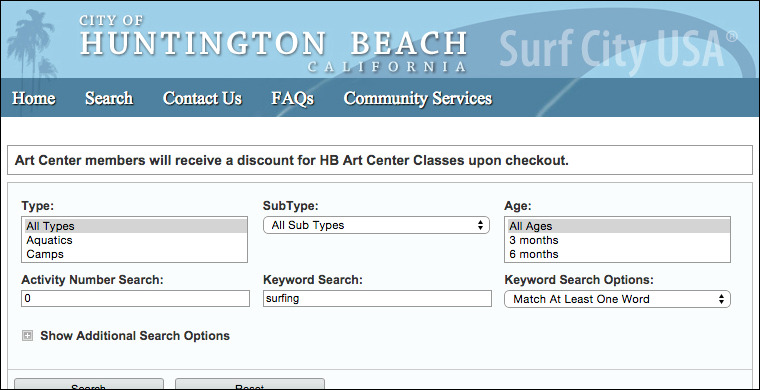 Click on the photo to take you to HB Sands and enter "surfing" in the Keyword Search box - See below.